René Auguste Chouteau, Jr. (September 7, 1749 or September 26, 1750 in New Orleans, French Louisiana – February 24, 1829 in St. Louis, Missouri), also known as Auguste Chouteau, was the founder of St. Louis, Missouri, a successful fur trader and a politician. He and his partner had a monopoly for many years of fur trade with the large Osage tribe on the Missouri River. In addition, he had numerous business interests in St. Louis and was well-connected with the various rulers: French, Spanish and American. 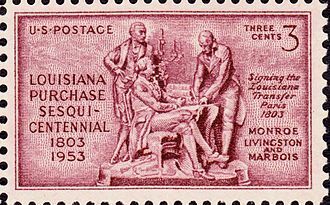 On September 20, 1748, Marie-Thérèse Bourgeois married René Auguste Chouteau, who had recently immigrated from France to Louisiana. Rene Chouteau was described as an innkeeper, liquor dealer, and pastry chef. He was born in the village of L'Hermenault in September 1723, and was nearly ten years older than Bourgeois. Auguste Chouteau was the only child of Marie-Therese and Rene, born in either September 1749 or September 1750. The elder Chouteau purportedly abused Marie Therese, and the abandonment of her and their son, led Marie Therese to return to her per-matrimonial home. Some scholars say that she returned to the convent. Others believe that she returned to her step-father's and mother's house. In either case, a child named "Rene" was baptized on that date to René Chouteau and Marie-Thérèse. However, the Auguste Chouteau who founded St. Louis, Missouri, often was referred to as Rene Auguste, but his birth date was listed in family records as September 26, 1750. Family members in the 19th century used the traditional date (September 26, 1750) for Chouteau's grave marker in Calvary Cemetery. In René Chouteau's will, he referred to two living sons in 1776. Thus, it is possible a second son existed. In that case, it is likely that the second son died after René Chouteau left Louisiana. Though highly influenced by Laclede, many historians have also commented on his mother's character and intelligence that proved to be exceptionally important throughout his entire life. With a strong business sense and acumen, she would have helped developed his senses that later proved to be very effective and helpful in later years. The French garrison just across the river at Fort de Chartres agreed to store the goods until the British arrived. 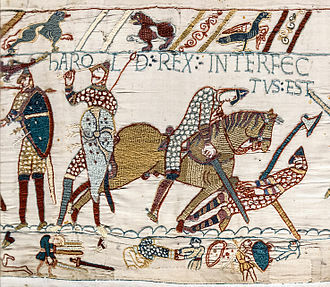 (Following the Seven Years' War, the French conceded their territory and installations to the victorious British. The fort was to be turned over to the British according to the Treaty of Paris (1763). The commandant of Illinois, Pierre-Joseph Neyon de Villiers, suggested French settlers should relocate from the Illinois Country to New Orleans. 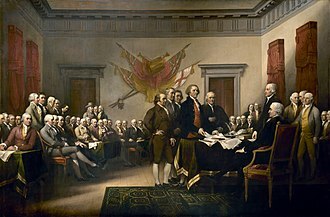 (He thought it would be under French control, as he did not know of the Treaty of Fontainebleau (1762) to give control of the area west of the Mississippi to the Spanish). Because of the postwar upheaval, "instead of just establishing a trading post at the mouth of the Missouri, [Laclède] would create an entire community." Laclede believed he could convince many French to move to the west bank of the Mississippi at his new settlement. He planned to store the goods until spring, and then have Chouteau and his team build the trading post at the site they selected in December 1763. As Chouteau wrote, Laclède said, "You will come here as soon as navigation opens, and will cause this place to be cleared, in order to form our settlement after the plan that I shall give you." Laclede was at Fort de Chartres until early April, recruiting French settlers from the east side villages. Because of a large migrating band of Osage, Laclede went to St. Louis to negotiate their departure from the fledgling post. Within months, Laclede had built a home for his common-law wife Marie Therese, who traveled to the outpost from New Orleans, arriving in September 1764. Auguste Chouteau lived here until his death. In addition to Auguste, Marie-Thérèse had an additional four children (by Pierre Laclede, but under the surname of Chouteau). Among these four were three girls and a boy, Jean Pierre Chouteau, who later became a partner with Auguste in business and politics. The first Catholic church in St. Louis, where Auguste Chouteau married Marie-Thérèse Cerre in 1786. After Laclede's death in 1778, Chouteau took over the business of trading, adding greatly to the family fortunes. He quickly expanded the business to include agricultural properties, and banking, and owned the first grist mill in St. Louis. Chouteau played a significant role in the growth of other, outlying towns, such as St. Charles, Missouri. Chouteau also remained on good terms with the Spanish government in St. Louis. 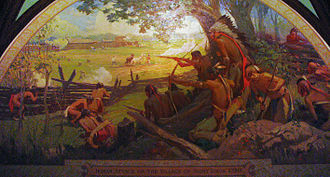 In 1780, Chouteau played a small role in the Battle of St. Louis, in which the village was defended against a British-led Native American attack. Chouteau negotiated with the Spanish government for greater defense of the city, and for his efforts was commissioned a captain and later a colonel. In the early 1780s, Auguste Chouteau played a pivotal role in trade between the village and Native American tribes. His efforts to maintain peace and promote trade led him to establish (along with his brother, Pierre) numerous trading forts along the Missouri River. His relationship with the Osage Nation became particularly important when, in 1787, the Spanish governor Esteban Miro ordered an end to trade with the Osage and began to prepare for war against them as a result of fighting between Osage and European settlers. Although the government continued its ban on trade with the Osage, Chouteau was able to defuse a conflict between Osage and Spanish-armed settlers through his intervention with Miro. 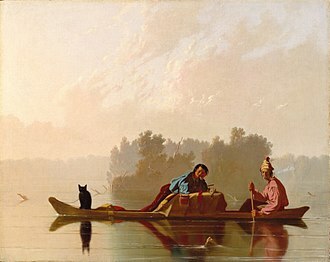 In spite of continuing problems between the Osage and the Spanish government, Chouteau maintained good relations with the tribe. 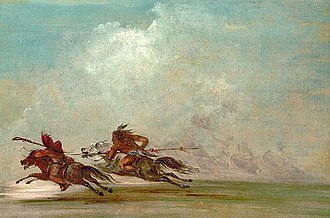 Although the trade ban was lifted in 1791, problems continued among Mississippi tribes and the settlers, including horse theft and threatened attack on an Osage delegation in St. Louis by rival tribes of Sac, Fox, Kickapoo, Mascouten and Winnebago warriors. 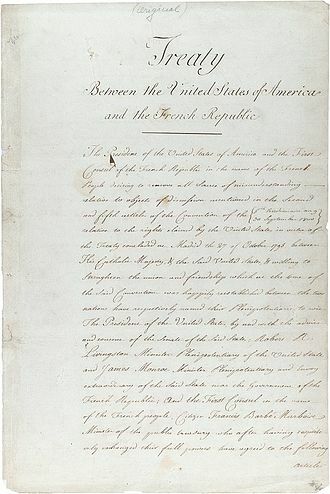 In 1793, these problems culminated in an order from the Spanish Governor General Francisco Luis Héctor de Carondelet, in which all trade between settlers and tribes was to cease. 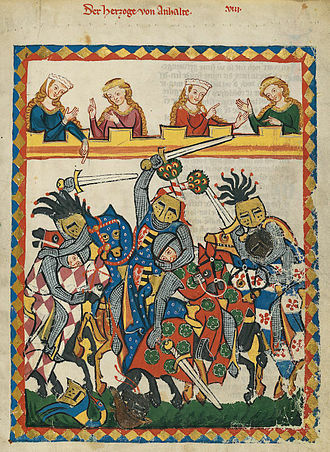 Hector also ordered a military expedition against the Osage and other tribes. 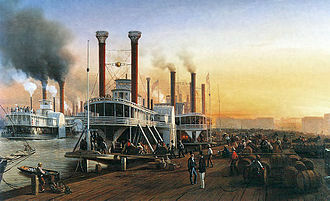 However, Hector was persuaded toward peace by an Osage delegation led by Chouteau to New Orleans in the spring of 1794. 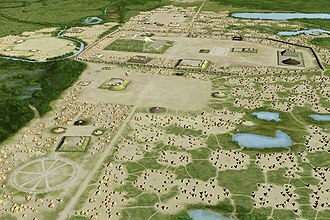 To convince Hector of peace, Chouteau promised a military fort built among the Osage at his own expense. In return, Chouteau was given a six-year monopoly on trade along the Osage River. After its construction in 1795, Fort Carondelet, although acting as a military base, was in practice a trading post for the Chouteau family. The fort also served as home to Chouteau's nephews, who gained valuable experience as traders. Through contacts at this post, Chouteau also negotiated construction of a second trading post among the Osage, located on the Verdigris River in eastern Kansas from 1795 to 1797. However, in 1799, new Spanish Governor General Manuel María de Salcedo began favoring a Spanish businessman instead of the Chouteau fur operation. Fort Carondelet was sold to the Spanish firm, but Chouteau continued trade with the Osage on the Verdigris. 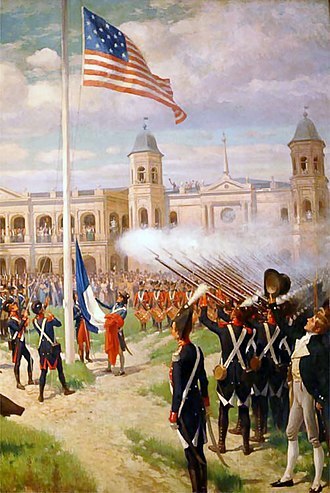 Yet the Spanish competition was short-lived, as the Louisiana Territory was transferred first to France in 1800, then the United States in 1803. Late that year, Chouteau provided valuable information to the Lewis and Clark Expedition about the population of the Louisiana territory, along with observations of wildlife and local villages. In early 1804, Lewis and Clark purchased materials from Chouteau's trading house in St. Louis, and on March 9, 1804, Chouteau hosted the new American commander of the Upper Louisiana during the transfer ceremonies for the Louisiana Purchase. For this, Chouteau was rewarded with a return to his monopoly on trade with the tribes by the United States. From 1806 to 1815, Chouteau continued leading family fur trade business, eventually negotiating part of the Treaties of Portage des Sioux in 1815 after the War of 1812. In 1816, Auguste Chouteau retired from his trading businesses. Still active in Indian issues in 1817, Chouteau served as a U.S. Commissioner of Indian Affairs with William Clark in the first U.S. treaty with the Ponca tribe. For more information on the Chouteau family and places named for the Chouteau family, see Chouteau. Auguste Chouteau never left the St. Louis area (although he had numerous lengthy trading journeys up the Missouri to his outer posts and to trade with the Indians.) He married Marie Therese, the daughter of Jean-Gabriel Cerré, on September 21, 1786 at the Basilica of St. Louis, King of France (then a vertical-log church, not the current church on the site). The marriage united members of the two leading St. Louis families; it also appears to have been a happy one. (It is possible that Chouteau had relations with indigenous American women while on lengthy trading expeditions, but that was considered customary behavior at that time.) They were renowned for their hospitality, which helped strengthen his political position in the city and region. Chouteau died February 24, 1829. 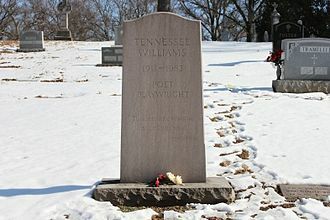 His remains were interred first at the burial grounds near the Basilica of St. Louis, but were reinterred at Calvary Cemetery. After his death, 22 of his 36 slaves were sold at probate, providing $10,838.88 in proceeds, half of which was provided to his wife, with the other half being divided equally among their seven children. ^ Christian, 30. According to Shirley Christian, Chouteau's parents "baptized a son, whose name was listed only as Rene, on September 9, 1749. There is confusion as to whether this son was Auguste Chouteau or whether the first son died and a second son, Auguste, was born a year later. ... Auguste Chouteau's birth date is listed in family records as September 26, 1750, but no baptismal record has been uncovered." ^ a b Beckwith, 8. ^ a b c Christian, 30. ^ a b Doherty, 35. ^ a b Christian, 36. ^ Christian, 37. Some dispute exists as to whether the party landed on February 14 or March 14, based on a discrepancy in Chouteau's narrative. Most historians ascribe Chouteau's date as an error. ^ a b c Hoig, 7. ^ a b Hoig, 15. ^ a b c d e f Hoig, 19. ^ Fort Carondelet, although no longer extant, stood on Halley's Bluff in Vernon County, Missouri, a site now occupied by the Church of Christ at Halley's Bluff. ^ a b c Hoig, 26. ^ a b Beckwith, 9. ^ a b Foley, 45. Beckwith, Paul Edmond. Creoles of St. Louis. St. Louis: Nixon-Jones, 1893. Chouteau, Auguste. A Fragment of Col. Auguste Chouteau's Narrative of the Settlement of St. Louis. St. Louis: Knapp and Co., 1858. Christian, Shirley. Before Lewis and Clark: The Story of the Chouteaus, the French Dynasty That Ruled America's Frontier. New York: Farrar, Straus and Giroux, 2004. Doherty, Kieran. Ranchers, Homesteaders and Traders: Frontiersmen of the South-Central States. Foley, William E. The First Chouteaus: River Barons of St. Louis. Urbana: University of Illinois Press, 1983. Hoig, Stan. 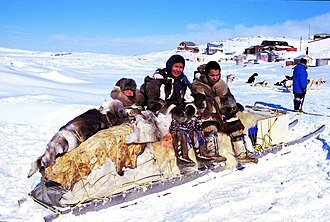 The Chouteaus, First Family of the Fur Trade. Albuquerque: University of New Mexico Press, 2008. Stevens, Walter Barlow. 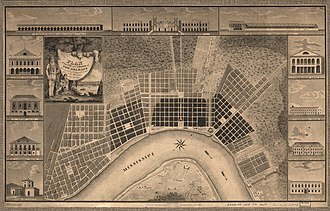 St. Louis: The Fourth City, 1764-1911. St. Louis: S.J. Clarke Co., 1911. Auguste Chouteau Collection, Mercantile Library, University of Missouri at St. Louis, <--Broken link, February 2017. St. Charles is a city in, and the county seat of, St. Charles County, United States. The population was 65,794 at the 2010 census, making St. Charles the ninth-largest city in Missouri and it lies to the northwest, and is a suburb of St. Louis, Missouri on the Missouri River. For a time, it played a significant role in the United States westward expansion, the city served as the first Missouri capital from 1821 to 1826, and is the site of the Saint Rose Philippine Duchesne shrine. 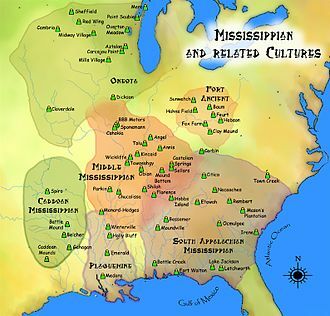 Native American peoples inhabited the area for at least 7,000 years, when the Europeans arrived the area was inhabited by the Ilini and Missouri nations. According to Hopewells Romantic Legends of the Missouri and Mississippi, Blanchette met another French Canadian at the site of St. Charles in 1765. Blanchette, determined to settle there, asked if Guillet, who had become a chief of a Dakota tribe, had chosen a name for it, I called the place Les Petites Côtes replied Bernard, from the sides of the hills that you see. By that name shall it be called, said Blanchette Chasseur, Blanchette settled there in about 1769 under the authority of the Spanish governor of Upper Louisiana. 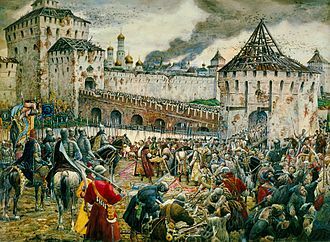 He was appointed as the civil and military leader, serving until his death in 1793. 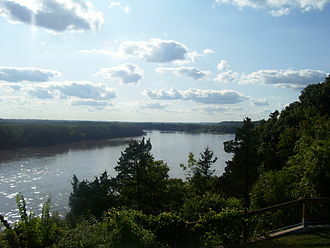 Although the settlement was under Spanish jurisdiction, the settlers were primarily Native American, considered to begin in St. Charles, the Boones Lick Trail along the Missouri River lowlands was the major overland route for settlement of central and western Missouri. This area became known as the Boonslick or Boonslick Country, at Franklin, the trail ended. Westward progress continued on the Santa Fe Trail, the first church, built in 1791, was Catholic and dedicated to the Italian saint Charles Borromeo, under the Spanish version of his name, San Carlos Borromeo. The town became known as San Carlos del Misuri, St. Charles of the Missouri, the original location of the church is not known but a replica has been built just off Main Street. The fourth St. Charles Borromeo Church now stands on Fifth Street, the name of the town, San Carlos, was anglicized to St. Charles. William Clark arrived in St. Charles on May 16,1804, with him were 40 men and three boats, they made final preparations, as they waited for Meriwether Lewis to arrive from St. The Black Hawk War was a brief 1832 conflict between the United States and Native Americans led by Black Hawk, a Sauk leader. Black Hawks motives were ambiguous, but he was hoping to avoid bloodshed while resettling on tribal land that had been ceded to the United States in the disputed 1804 Treaty of St. Louis. 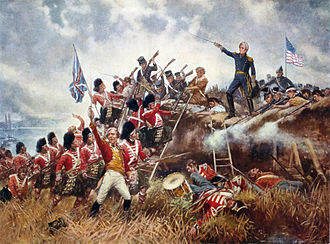 US officials, convinced that the British Band was hostile, mobilized a frontier militia, Black Hawk responded by successfully attacking the militia at the Battle of Stillmans Run. He led his band to a location in what is now southern Wisconsin and was pursued by US forces. Meanwhile, other Native Americans conducted raids against forts and settlements largely unprotected with the absence of US troops, some Ho-Chunk and Potawatomi warriors with grievances against European-Americans took part in these raids, although most tribe members tried to avoid the conflict. 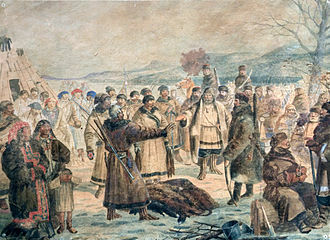 The Menominee and Dakota tribes, already at odds with the Sauks and Meskwakis, commanded by General Henry Atkinson, the US troops tracked the British Band. Militia under Colonel Henry Dodge caught up with the British Band on July 21, Black Hawks band was weakened by hunger and desertion and many native survivors retreated towards the Mississippi. On August 2, US soldiers attacked the remnants of the British Band at the Battle of Bad Axe, Black Hawk and other leaders escaped, but surrendered and were imprisoned for a year. The Black Hawk War gave the young captain Abraham Lincoln his brief military service, other participants who became famous included Winfield Scott, Zachary Taylor, and Jefferson Davis. The war gave impetus to the US policy of Indian removal, in which Native American tribes were pressured to sell their lands and move west of the Mississippi River and stay there. In the 18th century, the Sauk and Meskwaki Native American tribes lived along the Mississippi River in what is now the U. S. states of Illinois, by the time of the Black Hawk War, the population of the two tribes was about 6,000 people. 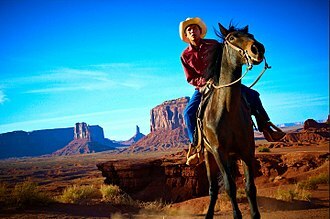 As the United States expanded westward in the early 19th century, the treaty became controversial because the Native leaders had not been authorized by their tribal councils to cede lands. It began near St. Louis, made its way westward, and passed through the continental divide to reach the Pacific coast. The Corps of Discovery comprised a group of U. S. Army volunteers under the command of Captain Meriwether Lewis and his close friend, Second Lieutenant William Clark. The campaigns secondary objectives were scientific and economic, to study the plants, animal life, and geography. With maps and journals in hand, the returned to St. Louis to report its findings to Jefferson. According to Thomas Jefferson himself, one goal was to find the most direct and practicable water communication across this continent, Jefferson placed special importance on declaring U. S. The expedition made notable contributions to science, but scientific research was not the goal of the mission. During the 19th century, references to Lewis and Clark scarcely appeared in history books even during the United States Centennial in 1876, Lewis and Clark began to gain new attention around the start of the 20th century. Both the 1904 Louisiana Purchase Exposition, in St. Louis, in 2004, a complete and reliable set of the expeditions journals was compiled by Gary E. Moulton. In the 2000s, the bicentennial of the expedition further elevated popular interest in Lewis, as of 1984, no U. S. exploration party was more famous, and no American expedition leaders are more instantly recognizable by name. In the 1780s, while Minister to France, Jefferson met John Ledyard in Paris, like Captain Cook, Jefferson wished to discover a practical route through the Northwest to the Pacific coast. 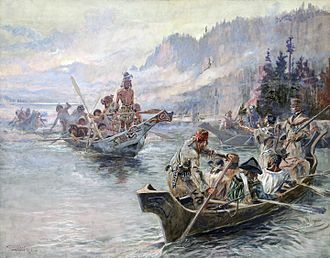 Alexander Mackenzie had already charted a route in his quest for the Pacific and his party became the first on record to cross America north of Mexico to the Pacific, when he arrived near Bella Coola in 1793—a dozen years before Lewis and Clark. 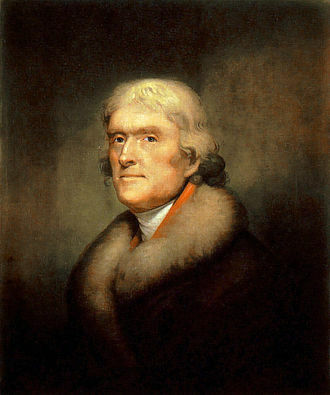 Two years into his presidency, Jefferson asked Congress to fund an expedition through the Louisiana territory to the Pacific Ocean and he did not attempt to hide the Lewis and Clark expedition itself from Spanish and British officials, but rather claimed different reasons for the venture. The gatehouse of Fort de Chartres was reconstructed in the 1930s. The fort's powder magazine prior to restoration, from photograph in 1906. 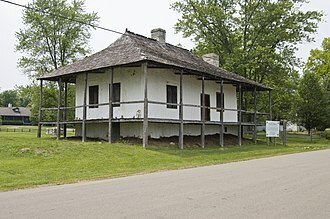 The fort's powder magazine, here restored, is thought to be the oldest standing building in Illinois. 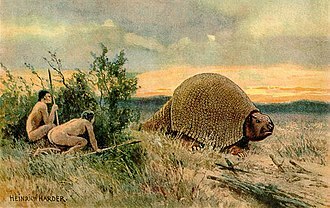 A survey of a Hopewell enclosure Newark Earthworks in Ohio, U.S.
Chouteau's Treaty with the Osages, painted 1924 by Walter Ufer, at the Missouri State Capitol.